The midterm elections are around the corner, and while constituents across Virginia are getting an earful about the candidates from campaign ads, two professors from the University of Virginia and Vanderbilt University in Tennessee have developed a systematic way to gauge just how effective each member of the House of Representatives truly is. 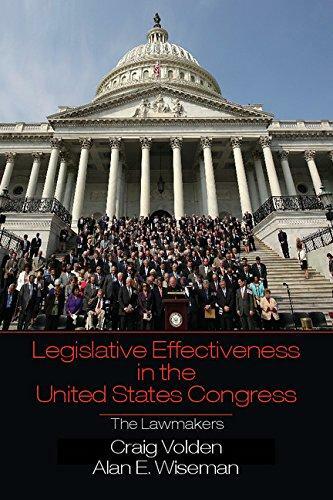 It's called the Legislative Effectiveness Project. Listen to the story by Kelsea Pieters. Volden says the House was a good place to start – their rules and procedures allow for more streamlined research than the Senate, making it easier to track each member’s sponsored bill through the lawmaking process. An effectiveness score is born out of three levels of bill significance and 15 other indicators. One member who made the last Congress's top 5 most effective majority lawmakers list – Eric Cantor. And voters can see for themselves, just how effective their representatives have been. The comprehensive data is available online on almost all House members from 1973 to 2012.